Aflex Gimbal Expansion Bellows absorb angular rotation in any plane. Two GEB units can be used to absorb large amounts of lateral deflection in multi-plane piping systems. 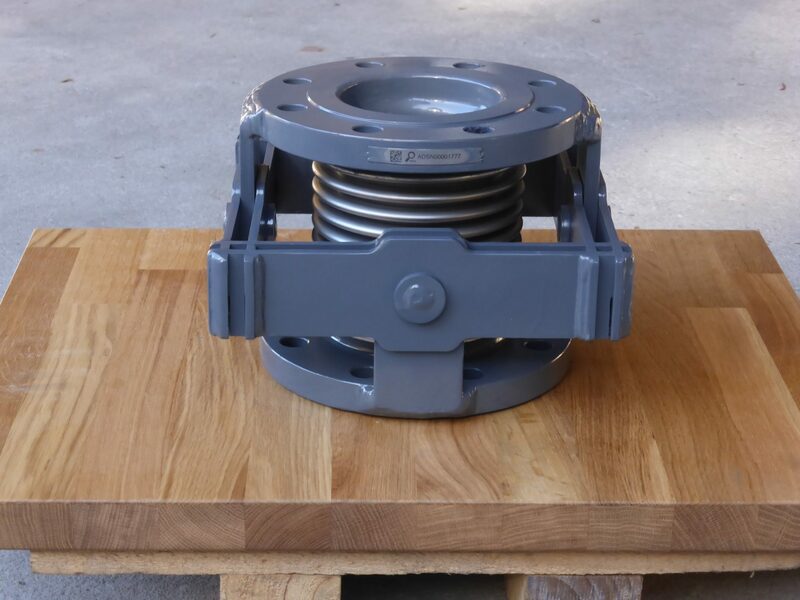 The Gimbal structure restrains the pressure thrust generated by the bellows, meaning the pipeline does not require main anchors, as the GEB only generates low forces on the piping system. An application of this can be seen in the diagram on the right in which two Gimbal Expansion Bellows are used in a 90° pipe leg to accommodate the thermal expansion of two long pipe runs in different planes by moving laterally.